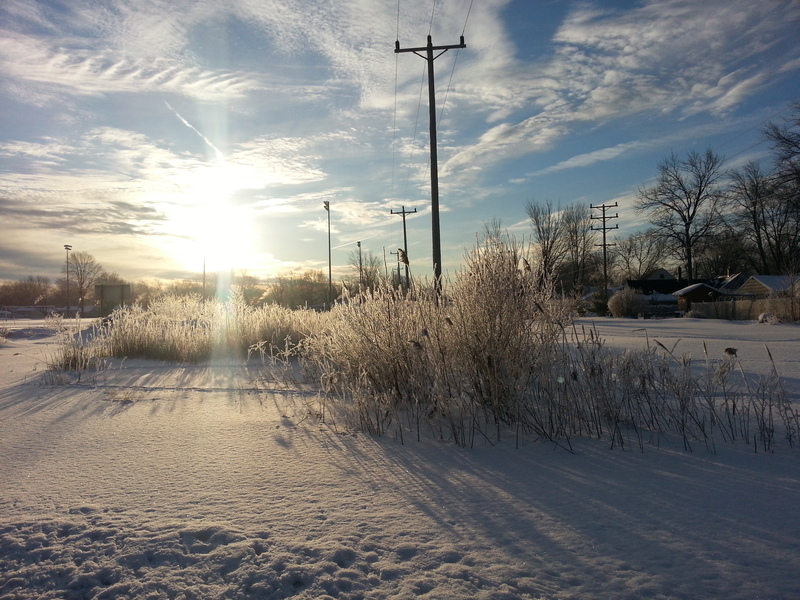 The weather today was spectacular after getting off to a 2-degree start. The sun shone brightly this morning. The sky was a magnificent blue. As the sun rose it reflected across the new snow and sparkled as it reflected off the frost which coated every available surface. I arrived at Goat Island to enjoy the sunshine. The photo shoot scheduled for the same time had been cancelled due to illness. I arrived prepared with snacks for the squirrels but instead of making an appearance they appeared to make themselves scarce. I find places such as this interesting. There is an invisible switch which is tripped as I get closer to my destination. Once I turned onto the island, I reached for and turned off the car’s radio. As I pulled into a parking space I opened a window. I checked the temperature. It had grown 30-degrees warmer than this morning. I leaned my head against the headrest and listened to the birds singling in the nearby trees. I reached for my journal and uncapped my favorite fountain pen. The thoughts flowed as easily as the ink from the finely tuned nib. My writing was interrupted by the continuous singing of the birds, chickadees I think. I stopped writing and watched as the birds gently landed on the outstretched palm of a man. He feeds them, sunflower seeds no doubt. As they land and accept the offering they sing the praises of the stranger, thanking him for the snack. Off in the distance the sound of the Niagara River, it’s peaceful flow growing more argumentative as it passes over the boulders in the upper rapids, nearing the brink of the falls where it will make its final steep descent on its journey toward Lake Ontario.